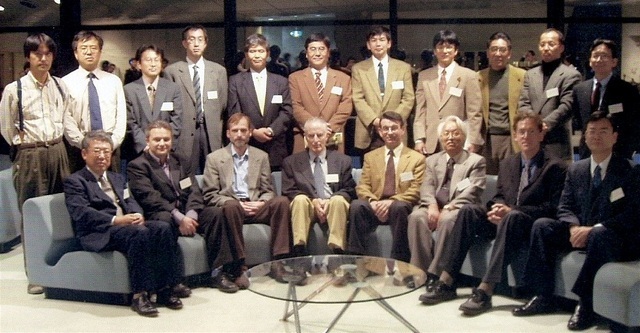 Participants at the International Crystallography Symposium at the Tokyo Institute of Technology, 2004. In the crystallography laboratory at the Tokyo Institute of Technology, 2004. ?, Philip Coppens, Yuji Ohashi, ?.